Join Farm Cooking School frind and author Joy Stocke for an evening of mezes, conversation and music as we celebrate the publication of Tree of Life: Turkish Home Cooking (Quarto/Burgess Lea Press) by Joy E. Stocke & Angie Brenner. Photographs by Jason Varney. From her first visit to Anatolia, Joy was captivated by the traditional meze table, an array of small plates and savory snacks. Sample Gougères a la Turka, a twist on the traditional recipe featuring feta cheese and garnished with Aleppo pepper or Nigella seeds; Olives with Garlic and Preserved Lemon, Savory Spiced Chickpeas, Baked Hummus with Pine Nuts, and mini shish kebabs. Mezes are often accompanied by a cool glass of wine, anise-flavored raki, or a cocktail such as the Bosporus Fizz – a beguiling mix of fresh carrot juice, a dash of turmeric and rosewater, raki and club soda. 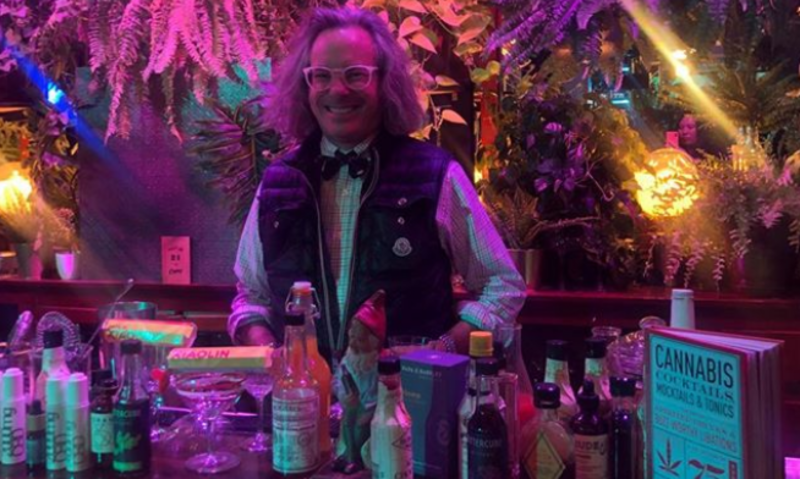 Cocktail expert, author, and the creator of the Bosporus Fizz, Warren Bobrow, will join Joy and mix the drinks. In addition, he will prepare a second drink, Persephone’s Revenge – an elegant composition of pomegranate juice, raki and ice. Non-alcoholic versions will be available as well. Summer Johnson, owner of Zach & Zoe’s Sweet Bee Farm will be on hand to share samples of her fabulous raw honey. Joy has created a dish for Summer – Zach & Zoe’s Anatolian Roasted Carrots with Raw Beet Honey – which you’ll also be able to sample. Honey will be available for purchase. Admission is $20.00. Registration appreciated, or email Joy, so we can get a head count. Books will be available for purchase – cash or check only. All after-tax profits benefit Wholesome Wave empowering under-served consumers to make better food choices by increasing affordable access to healthy produce. The Farm Cooking School, owned and operated by Ian Knauer and Shelley Wiseman, is located at Gravity Hill Farm and is part of Roots to River Farm – a certified organic vegetable farm – 67 Pleasant Valley Rd, Titusville, NJ 08560. The Farm Cooking School is a space where cooks of all levels can come together to learn about and enjoy great food and real community. Previous PostPrevious The Savoy Taproom!